As humanity goes forward, new threats emerge as the old ones are being forgotten. Explanations for weird occurrences these days tend to be strictly related to present phenomena and world threats, denying what has happened in the past. 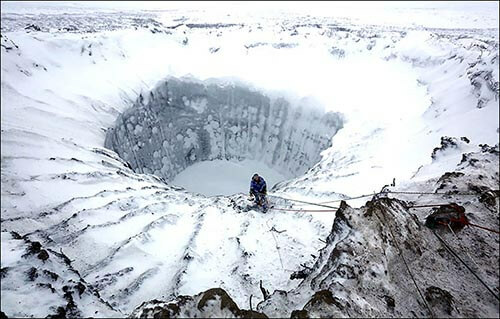 At the end of 2014, huge craters were discovered in the Yamal Peninsula by helicopter pilots surveying the area. At first, there were only two craters, with others being discovered shortly after. After examining the area, Russian researchers realized that the craters were more widespread than they first thought, with one large crater surrounded by 20 smaller holes. At the moment, there are over 7 large holes with over 30 tiny ones, measuring over 230 feet in depth and 2,000 feet in diameter. Recent exploration of the mysterious pits have shown that icy lakes have formed at their bottoms, with water cascading down their permafrost walls. Recent theories claim the craters were formed as a result of climate change, meteorite strikes, gas explosions from the underground or even nuclear tests. Each of these might sound plausible but the mysterious sightings seem to contradict all of this. Judging by the smooth surface of the walls, also linear, and the lack of debris on the surface, we can’t possibly talk about a massive impact which caused all this. Besides, other craters have the same characteristics so there can’t be a coincidence regarding one of the holes. Mighty eruptions of gas from an underground reservoir was the official information given so the local population wouldn’t panic, but considering the frozen lake at the bottom, this hypothesis seems rather wrong, as there is no big fissure in the icy surface. No one knows what is happening in these craters at the moment. We plan a new expedition. Anyway, we must research this phenomenon urgently, to prevent possible disasters. So what might be the cause of this strange phenomenon? Turning away from the scientific information because it doesn’t add up much certainty to the matter, I stumbled upon an interesting theory that connects the past to the present. We now know that two of the huge craters turned to lakes, which implies a deeper trail inside the holes than it was first thought. 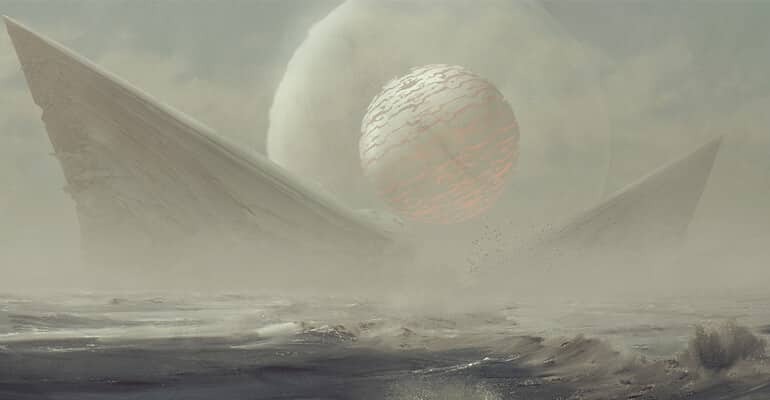 Siberia is a mystical place, with a lot of alien encounters over the last 100 years. 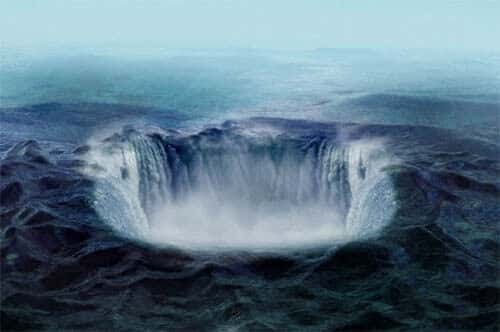 The Hollow Earth theory also applies here, as UFOs are believed to access the portal to inner Earth from here. And what place serves as a better cover-up than a lake in the middle of this desolate, icy landscape? Lake Baikal is found not far away from the Yamal peninsula. This ancient lake from the mountainous Russian region of Siberia is considered the deepest lake in the world, with a depth of over 2,400 feet, and is also renowned for its spectacular UFO sightings and alien encounters. 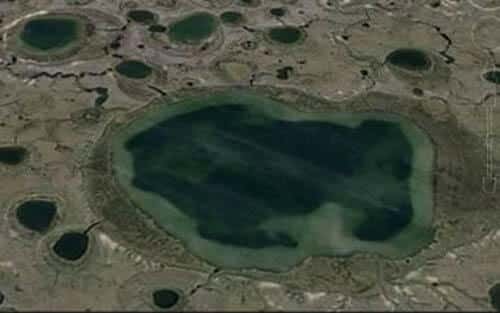 Are these mysterious craters linked to the Lake Baikal and the portals leading inside the Inner Earth ? Next ArticleUFO Hunter Discovers Stonehenge—On MARS!